Three more stages of the Compositional Conversations project have been completed, and it's fascinating to see each artist's voice expressed in the piece, as well as to read about their processes. 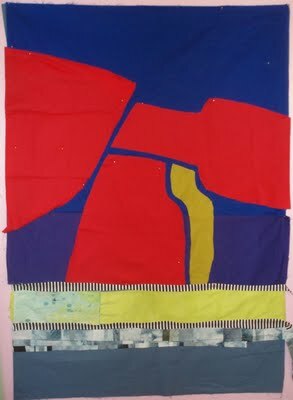 See Terry's blog for the details on the construction of each piece www.studio24-7.blogspot.com . This is Stage 11 by Valerie Goodwin. 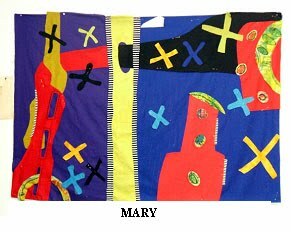 Note that the piece told Valerie that her name was Mary.